While the application and discharge of carbon nanomaterials (CNMs) increased rapidly, the research on the environmental safety of CNMs is also increasing. 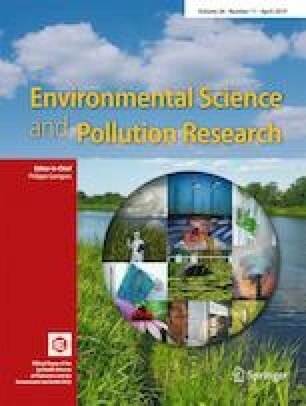 The high dispersity and mobility of modified CNMs in environmental media may have impacts on the environmental behavior of heavy metals. This work mainly studied the effect of fullerol nanoparticles (C60(OH)n) on Cu2+ transport, sorption, and release in water-saturated porous media. The results showed that due to the strong adsorption capacity of C60(OH)n for Cu2+, the transport of Cu2+ could be facilitated. However, with the pre-existence of C60(OH)n in porous media, the transport of Cu2+ was also slightly enhanced. In addition, when loaded into the pre-contaminated porous medium, the C60(OH)n also enhanced the release of retained Cu2+, which implies a high environmental risk of C60(OH)n.
This work was supported by the National Natural Science Foundation of China (No. 41473113).